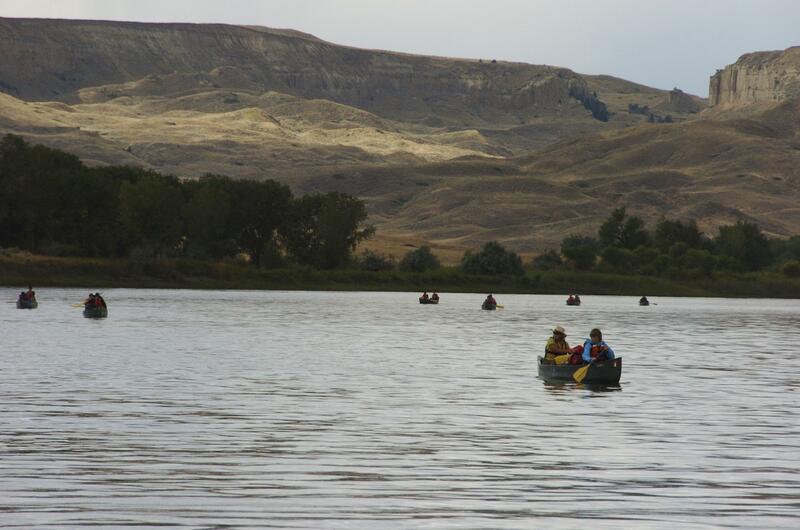 UPDATED: Wed., Aug. 2, 2017, 9:55 p.m.
WASHINGTON – Interior Secretary Ryan Zinke said Wednesday he will not recommend changes to Montana’s Upper Missouri River Breaks National Monument as he continues to review national monuments for possible elimination or reduction. Zinke said the monument is one of the only free-flowing areas of the Missouri that remains as explorers Lewis and Clark saw it more than 200 years ago. Montana Gov. Steve Bullock had asked Zinke to keep the Breaks monument unchanged as he reviews 27 national monuments designated by previous presidents. President Donald Trump ordered the review, calling many monument designations unwarranted land grabs by the federal government. Monument designations protect federal land from energy development and other activities. The Montana monument is the fourth Zinke has removed from his review ahead of a final report due later this month. Others removed from consideration are in Colorado, Idaho and Washington state. Twenty-three other national monuments, mostly in the West, face curtailing or elimination of protections put in place over the past two decades by presidents from both parties. Monuments under review include Bears Ears and Grand Staircase-Escalante in Utah, Nevada’s Basin and Range, and Katahdin Woods and Waters in Maine. Zinke, a former Montana congressman, said in June that he was unlikely to recommend changes to the 586-square-mile Upper Missouri monument that President Bill Clinton created in 2001. Zinke’s announcement about the monument in his home state did little to appease his critics, including a hunting and fishing group that supported Zinke’s confirmation as interior secretary but now is expressing frustration over what it calls the “misguided” monument review. The group, the Backcountry Hunters & Anglers, launched a $1.4 million advertising blitz Wednesday across Montana to pressure Zinke to retain current designations for all 27 monuments under review. The group is focusing on Montana because “this is where the secretary is from, where he grew up … went hunting and fishing,” said CEO Land Tawney. When it comes to public lands access, “so goes Montana, so goes the rest of the country,” Tawney said. Published: Aug. 2, 2017, 8:23 p.m. Updated: Aug. 2, 2017, 9:55 p.m.